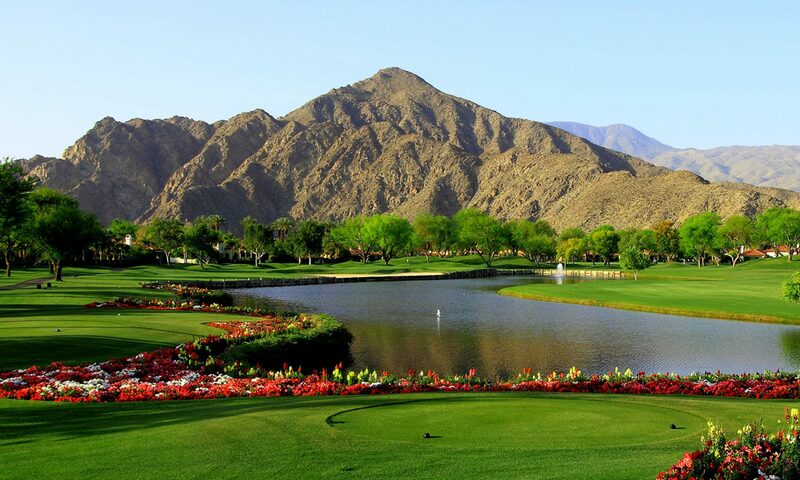 PGA West is a special association, located on over 2,200 acres in sunny La Quinta, California. Within the PGA West association there are 7 separate gated communities which look out onto six different championship golf courses, with both public and private options for golf lovers. The courses were designed by 5 different golf legends including Arnold Palmer, Jack Nicklaus, Tom Weiskopf, Greg Norman and renowned course designer Pete Dye. Within the PGA West gates there are three clubhouses (two public and one private), all offering dining options with spectacular views of the signatures courses and the Santa Rosa Mountains. Within the private clubhouse there is the Health and Racquet Club which offers 19 tennis courts with Har-Tru Clay, hard and grass surfaces. In addition, the private Fitness center features state of the art Cardio and Aerobic machines, free weights, strength and conditioning classes, Yoga, Pilates, and personal training. With about 3,000 homes in the community, home buyers have a wide variety of pricing and style from which to choose. Homes range in price from $200,000 condominiums up to $3,000,000 single-family estates. This number includes the last two developments that developers have recently opened: Alta Verde at Coral Mountain, offering 130 modern styled homes with Balinese influence including the newest sustainable technology and design available, and The Signature at PGA West, comprised of 230 Spanish styled condominiums, homes and estates centrally located in PGA West. There are three membership options: Social, Sport and Golf. The golf memberships have different options– One option allows play on the 3 Citrus Membership courses as well as the 6 PGA West courses. There are many incentives to join the Club which can be discussed with the PGA West Membership Directors. Currently at PGA West there are 202 homes and condominiums for sale. The Residence Club is another option at PGA West that is not included in the 7 communities mentioned, and is a wonderful opportunity for the buyer who really can’t enjoy the Desert for long periods of time, due to work schedules or other personal reasons. It offers fractional ownership in each home (one quarter or one ninth), with residence ownerships available from $139,000 to $194,000. As you can see, there are many options available at PGA West. A great spot in La Quinta, California.